The workshop is inspired by the art installation Wishing Wall. 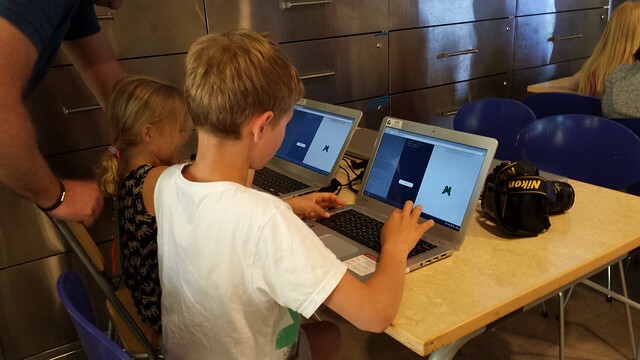 We have opened up the code part of our installation and let young participants to explore how a digital butterfly is created, how to make it fly, how to change the color, and how to create lots of butterflies. 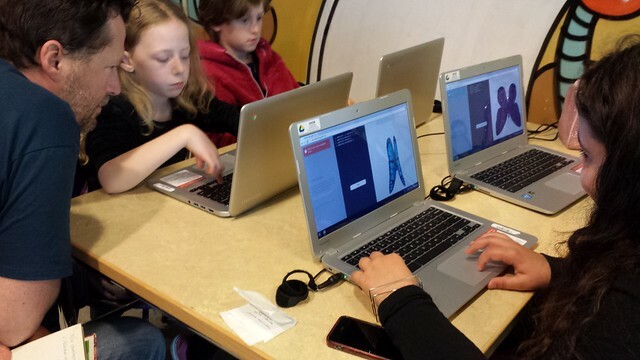 Hence, the kids are introduced to the creative side of coding and taught how with a few lines of programming code one could make an animation. 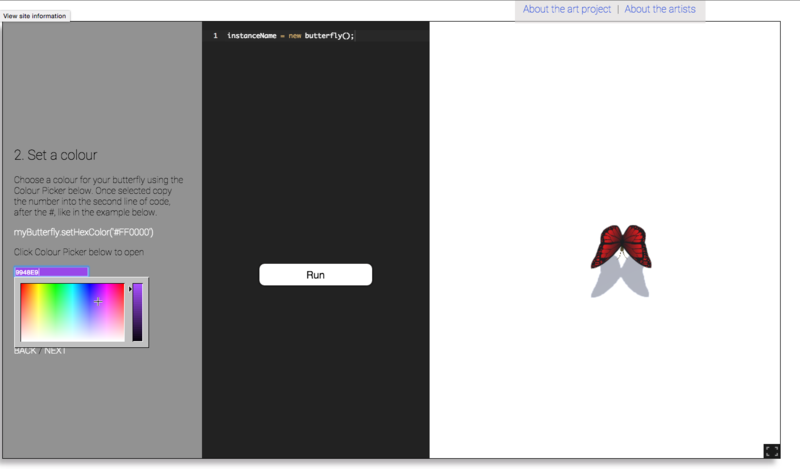 Animate with Code interface is part of ICT class in UK schools. The program is supported by Google.